Tooth sensitivity is a common problem that affects millions of people. It involves experiencing pain or discomfort to your teeth from sweets, cold air, hot or cold drinks or ice cream. Some people with sensitive teeth even experience discomfort from brushing and flossing. The good news is that sensitive teeth can be treated. Brushing too hard – You might be taking off more than just plaque! Use a soft bristled toothbrush and a light hand. Proper oral hygiene is the key to preventing gum recession and sensitive tooth pain. Gum Recession – This exposes the underlying surface, leaving your tooth root exposed and therefore reduces the levels of protection the enamel and gums give to the tooth and its root. Post Dental Treatment Sensitivity – Common but temporary, especially following procedures such as crowns and fillings. While the cause of sensitive teeth is sometimes a mystery, together we can solve it. 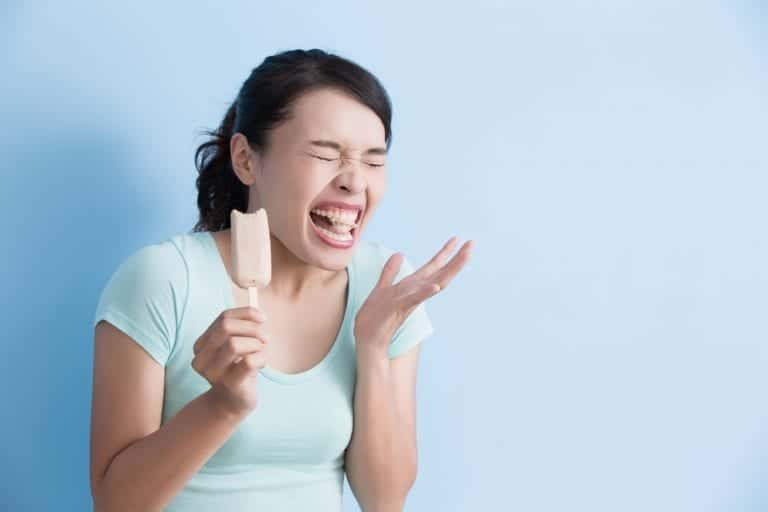 There’s no reason to suffer with painful tooth sensitivity and you should never have to avoid eating the foods you love!